Shomari Hearn suggests various strategies for reducing your 2018 tax bill, even past the end of the calendar year. The median home improvement project in the region costs $2,000. 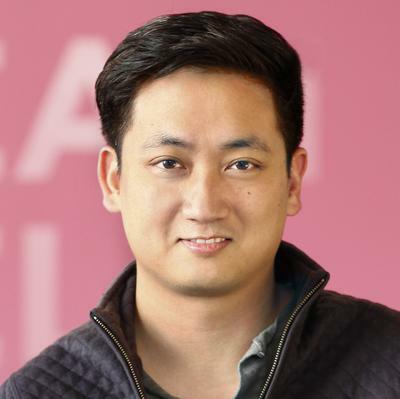 NerdWallet started as a spreadsheet Tim Chen made for his sister. From its humble beginnings to burgeoning success, Chen shared what lessons he's learned with the Business Times and how customers opened his eyes to what really matters to them. More NerdWallet statistics and facts than you will ever need to know including user totals and much more. Updated October 2018. Chen co-founded the personal finance advice website after being laid off from his Wall Street job. Why Nudge.ai? Reach out to the decision makers at NerdWallet with a personalized email - let them know that you found their recent news mention interesting. Nudge.ai’s relationship intelligence platform can help you find the right executive to reach out to at NerdWallet, such as Stephanie Wei, Vice President, Growth and Marketing, or Jelena Ewart, . Then get in touch and start a conversation. Executives can be difficult to reach, but every company has connectors who bring together people and ideas. At NerdWallet, people like Danish Ajmeri, and Rob Garcia are likely connectors. When NerdWallet is mentioned in the news, Nudge.ai often sees topics like Travel, and Insurance. If your conversation focuses on these topics, you’ll probably get NerdWallet’s attention. When NerdWallet is mentioned in the news, companies such as Bankrate, Inc., J.d. Power And Associates, and Spotify are often also mentioned. These companies can serve as customer examples. Employees who are often in the news are usually open to starting conversations or exploring ideas. Nudge.ai's sales AI saw Stephanie Wei, Kevin Yuann, and Carlton Robinson from NerdWallet recently mentioned in the news. San Francisco-based NerdWallet shed more than 40 employees, or 8 percent of its workforce, with a couple of senior executives heading for the exit. The idea of sorting out your contacts, and discovering new ones that are really helpful, has always been a complete nightmare. It's distributed across..
Who in your network can introduce you to NerdWallet? Nudge.ai finds the best pathway to reach contacts at this company.